With resin figure, a full set of new PE and new painting scheme. 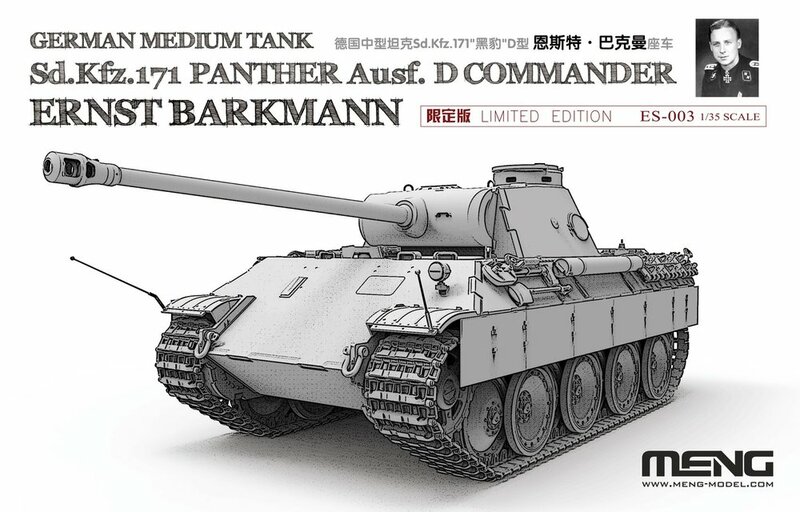 Ernst Barkmann is known for the actions undertaken at “Barkmann’s corner’’ as a Panther tank commander in the 2nd SS Panzer Division ‘‘Das Reich’’. It was claimed he halted a major U.S. Army armored advance in Normandy on 27 July 1944, for which action he received the Knight's Cross of the Iron Cross. Barkmann and his crew are credited with the destruction of at least 82 Soviet, British and US tanks, 136 miscellaneous armored fighting vehicles and 43 anti-tank guns.